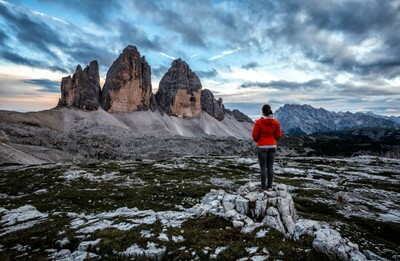 It was an exhausting hike up to these impressive peaks in the italian dolomites. The soft light in the sky made this evening unique. I love this red jacket in the middle of these rough, grey rocks.